Moving Your Pets - Moving Services Inc. | Moving Services Inc.
At Moving Services, Inc., we want to make the transition to a new home as smooth as possible for every member of your family, including your family pet. All pets require special attention and consideration when moving, and the essential ingredient to your pet’s stress-free move is preplanning. The following information outlines the points to consider when relocating with your pet. If you have other questions, please consult your Moving Services, Inc Agency Sales Representative. If you have a wolf, monkey, big cat, or any other large exotic animal, you will likely need a special permit to keep it. The state agencies listed at the end of this page can help answer your questions. After complying with the state regulations, check with the City Clerk’s office in your new community for local pet ordinances. “Leash Laws” are common, licensing may be necessary, and the number of pets per household may be limited. Many communities have zoning laws that prohibit you from keeping pets such as goats, pigs and chickens in residential areas. Also, cats, dogs, aquariums and exotic pets (iguanas, venomous snakes, tarantulas, ferrets, etc.) may not be allowed in apartment or condo complexes. Make sure your lease allows them on the premises before you move in. A Health Certificate less than 10 days old. Most states require one for dogs. Many states require one for cats, birds, and certain exotic animals as well. Check with your veterinarian or one of the state animal-control agencies listed in the back to determine if your pet requires a Health Certificate. The certificate must be issued by a licensed veterinarian, and current inoculation records must accompany it. A Permit. You may need to purchase a permit allowing your exotic pet to enter the destination state. Your veterinarian may assist you in applying for one. Identification. Whether you are traveling by air or car, any pet that can wear a collar should have one on, with an ID tag secured to it. Birds may be identified by leg bands. The ID tag should include the pet’s name, your name, and the destination address. In addition to ID, most states require dogs, cats and some exotic animals to have a rabies tag on their collars. Check with your veterinarian or one of the state animal-control agencies listed in the back. Now you are ready to relocate your pet but must decide how to do it. You can hire a professional pet-moving service to transport your four-legged family member or do it yourself. Movers are not permitted to transport pets, nor are buses or trains (Seeing Eye dogs are the exception for the latter two). If your pet requires special handling when moving, you may consider using a professional pet service that can take care of everything for you. 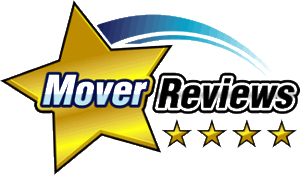 Your Moving Services, Inc Agency Sales Representative can recommend a reputable service. Most airlines have pet carriers available for purchase with advance notice (48 hours or more). These kennels meet all US Dept. of Agriculture (USDA) and International Air Transport Association (IATA) requirements for pet transportation. Pet stores also may have acceptable carriers for sale. Birds must be placed in durable pet carriers other than conventional bird cages. Get your pet accustomed to the carrier several days before a flight or car ride by using it as a bed. Placing a favorite toy or blanket inside will make your pet feel more secure. If you plan to fly your pet to its new home, first confirm that the airline allows animals. If it does, give notice when you book your flight that your pet will be traveling with you. Some airlines allow pets inside the cabin (first-come, first-served basis) if the pet is odorless, inoffensive, and kept in a USDA and IATA-approved container small enough to fit under the seat. Properly harnessed Seeing Eye dogs may sit at the owner’s feet. Minimize your pet’s stress by avoiding through-checking and plane changes. Moving your pet from one plane to another adds extra work, cost and stress to your pet’s relocation. Remember to have all the proper documents and a recent photo of your pet handy. You may need to bring your pet to freight loading two or more hours before departure. Mark the container with the animal’s name and note if it bites. Write the words “FRAGILE. LIVE ANIMAL” and “THIS SIDE UP” clearly on the outside of the container. Turtles — the easiest pet to transport — can be mailed overnight. Pack them in well-cushioned Styrofoam boxes with air holes and lined with soft grass or leaves. The box should not be so tight that the turtle cannot extend its legs or head. Write “FRAGILE. LIVE ANIMAL” and “THIS SIDE UP” on the box. Keep the surroundings moist, but not wet, by dampening a cloth and placing it inside the container. Fish — should be packed in plastic containers equipped with battery operated aerators and placed in strong boxes. Pets must be picked up from the airport within a reasonable time (usually within 24 hours of arrival). If not, they will either be returned to point of origin or placed in a kennel at the owner’s expense. Do not feed or water your pet for a few hours before you leave. After you are on the road, feed only once daily. Take a supply of water from home; different water on the road can cause upset stomachs for pets. Make frequent stops to water and exercise your pet, and keep your pet on a leash for its protection — and yours. While riding in the car, do not let your pet hang out the window. Dirt and insects can fly into its eyes, causing irritation and infection. Keep power-windows locked to prevent your pet — especially cats — from lowering the window and jumping out. If your car is not equipped with air conditioning, leave the windows cracked 1″ to 1 1/2″. Pets need plenty of air, especially when it is hot, or when the animal is prone to motion sickness. Remove the water and food dishes of birds and other small caged animals to avoid messy spills while the car is moving. Feed and water these pets at stops along the way. Keep your bird’s cage covered to help calm it. If you are transporting fish in plastic bags, do not put them in direct sunlight or cold drafts. If you anticipate overnight stops, contact several lodgings along your route and confirm your pet will be admitted. No pet should be left in the car overnight. Most hotel chains have a toll-free telephone number available via your 1-800-555-1212 information operator. The reservation center may be able to assist you in finding hotels on your route that accept pets. Check your local library for pet-friendly lodging directories, or search the Internet. Snakes should be put into the bathtub and allowed to soak for about an hour once you have checked in. If you leave your pet alone in a motel room, notify the management and hang the “Do Not Disturb” sign on the door. Like people, pets need time to become accustomed to a new house and new faces. Using your pet’s favorite food bowl, bedding and toys will aid greatly in getting your pet to feel right at home. Once you and your family are settled in, locate a veterinarian. Ask your previous veterinarian for a recommendation before you move, or you can contact the local Humane Society or the American Animal Hospital Association (AAHA) at 800-252-2242 for the names of veterinarians in your area. Keep your pet’s routine as regular as possible during the premoving stages and the move itself. If you normally feed, exercise, or play with your pet at certain times, continue to do so. During the final crunch of moving, you may find it is better if your pet stays at a friend’s home or kennel. This may help reduce the chances of it getting upset and running away, or hiding in one of the moving boxes, as cats are prone to do. At any stage of your move, consult your Moving Services, Inc Agency Sales Representative if you have questions. Your Moving Services, Inc professionals are always ready to help.